Passover begins tonight (Friday, March 30, 2018). While living in Budapest, Hungary, I had the amazing opportunity to participate in a Passover Seder with a large group of Holocaust survivors. This special group opened my eyes to a deeper message of freedom and redemption. Sitting with Jewish people who experienced one of the worst atrocities in history, and to see how excited they were to be at that Seder was encouraging. For most, it was their first Seder since they were children, and for a few of them, it might also have been their last. Yet to experience and celebrate with them not only our liberation from Egypt, but their deliverance from the Holocaust, made the message of redemption during this season very real. Pesach (Hebrew for Passover), recounts G-d’s deliverance of the Jewish people from Egypt approximately 3,300 years ago. The Passover week actually includes three separate, yet connected holidays – Pesach (only the first night), Chag HaMatzot (the Feast of Unleavened Bread), and Yom HaBikkurim (the Feast of First Fruits and Resurrection). 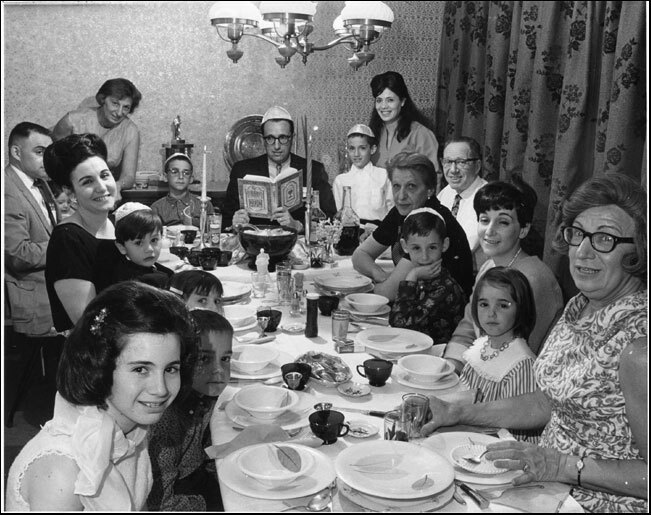 Passover has remained a distinct identity marker of the Jewish people throughout years of dispersion and turmoil, and remains one of the most widely observed Jewish practices. Pesach, as did all the Biblical festivals, played an enormous role within the life of Yeshua and his followers. There are over 28 references to the observance of Passover within the New Testament alone. Many believe that by the time of Yeshua, an order of service was being developed around the covenant meal, called a Seder, where, according to the Biblical text, lamb is commanded to be eaten along with matzah and maror (bitter herbs). As many of us are already aware, the Seder is the context for Yeshua’s last covenant meal (often called the Last Supper) shared with his disciples before his death. The Biblical text is clear that we can never atone for ourselves. Only a blood covering can provide atonement for sin. That was the role of the sacrificial system – to make atonement for our shortcomings. The blood of the Passover lamb was placed on the door-posts, which caused death to “pass over” the homes of the Israelites. Through the sacrifice of Yeshua, death in our lives is “passed over” once and for all. Our sages teach us that in every generation we should celebrate Passover as though we ourselves are personally being delivered from Egypt. For within Jewish understanding, “Egypt” represents more than just a geographical place on a map. The Hebrew word for Egypt is Mitzrayim, which is related to the word maytzorim, meaning boundaries and limitations. As such, to be “redeemed from Egypt” is to overcome and be redeemed from those natural limitations that impede the realization of our fullest potential. Passover is our opportunity for redemption! This “Festival of Freedom” is one all of us can benefit from – Jews and non-Jews alike. And I pray that it should be so for all of us. Freedom to think beyond ourselves … to not take who we are, and what we have for granted. Freedom to think on a larger scale and have a bigger vision for what G-d wants to do in our lives and in our congregations. G-d is only as limited as we make Him in our lives. Be encouraged in this Passover season, for redemption draws nigh! Chag Pesach Sameach – Have a wonderful and Happy Passover! This entry was posted in Uncategorized and tagged Holidays, Passover, Spirituality. Bookmark the permalink.